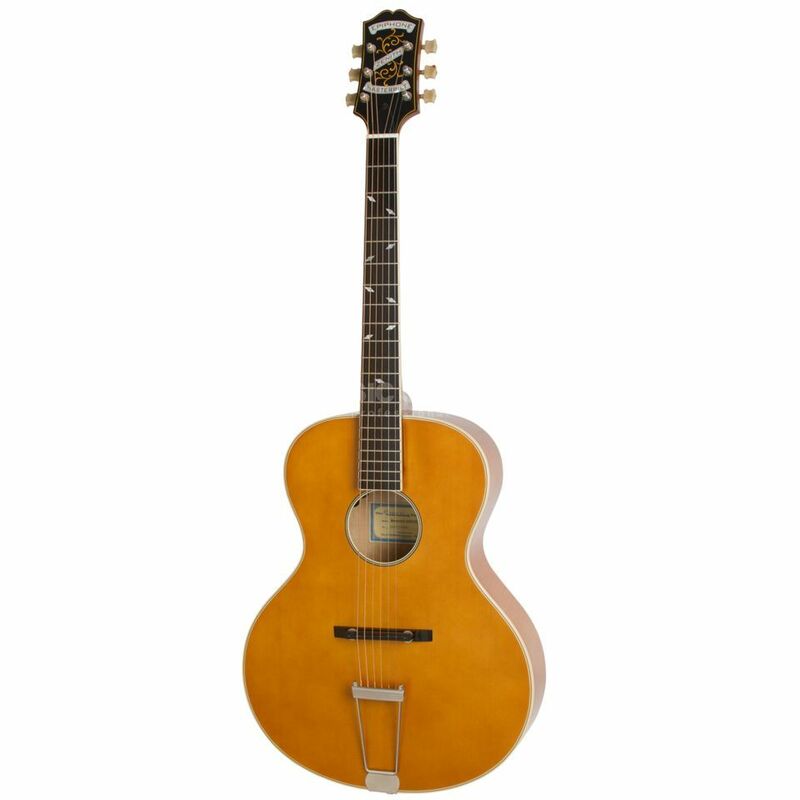 Epiphones Zenith from the Masterbilt Century Collection is a classical archtop guitar in the style of the Big Band era of the 1930s with traditional construction and modern pickup equipment. The solid spruce vaulted top has a longitudinal strut for maximum acoustic sound development, while the pickup system, consisting of a Fishman eSonic HD pickup and a NanoFlex HD preamp, provides the unadulterated acoustic sound for amplifiers, mixers or recording devices. The roundhole version of the Zenith produces a more powerful acoustic sound than the F-Hole version.